Clutch’s 12th studio album Book Of Bad Decisions has been voted the Best Album Of 2018 by Classic Rock staff and writers. 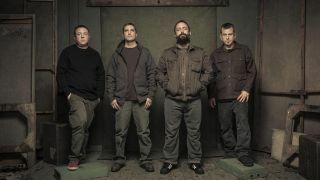 Clutch’s UK tour kicks off in Bristol this evening. Tickets are on sale now. To read Classic Rock Magazine’s Top 50 Albums of 2018, pick up the end-of-year edition in your newsagent, or order it online.